till it's shooting stardom burns out. Problem is....it's not burning out. I just keep finding reasons to make it again. and again. and again. Send help! Or better yet send a treadmill! This recipe is the offspring of (of course) a Pintrest pin. I love Pintrest but sometimes it bursts my bubble. everyone and their mother has already thought of my idea! So to give credit where it's due. over on Pearls, Handcuffs, and Happy Hour. to some swoon worthy amazingness. here is the Apple Fritter version! Start by mixing all the ingredients for the batter (except the butter) together in a bowl. Once combined, carefully pour in the melted butter. If you do this part with your mixer at a high speed it will splash everywhere. So slow is best. 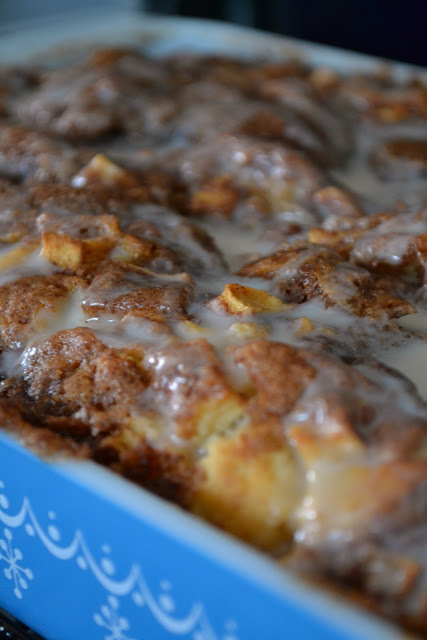 Pour the batter into a greased 9x13 pan, any smaller and it will overflow while baking. Evenly distribute the apples over the top of the batter. In a separate bowl mix together the topping, it will be thick so do your best to drop scoops of it evenly over the apples. Then take a knife and drag it in a swirly motion all over the pan allowing the toping to make friends with the apples and batter below. Bake at 350 degrees for at least 40 minutes. Depending on how many apples you put in and how juicy they were you may need to increase your time. If the top is getting too brown you can always tent it with foil. Once baked let sit for 20 minutes and then pour the glaze all over the cake. this looks super delicious and now i will put it on my "to make" list! Can't wait to try this, maybe with a side of vanilla ice cream. and pretty photos, too, m'lady! do you think it would be ok to add pecans either into the batter or the topping? Yes mam! I think pecans added to the topping would be lovely! Let us know how it turns out! Can I cut the recipe in half? What size pan would you suggest? just found this on Pinterest and made it tonight, it was really really yummy! I've made this a couple time. Currently making it again. Everyone loves it. Celia! I am so happy to hear this! I just took this out of the oven and it smells wonderful! However, my cake came up and over my apples. Is this normal? OMGosh, OMGosh!!! Incredible is an understatement! I have baked this recipe twice now and kid you not - A DEFINATE KEEPER!!! I never expected it to actually taste like an apple fritter doughnut, but my oh my did it prove me wrong. 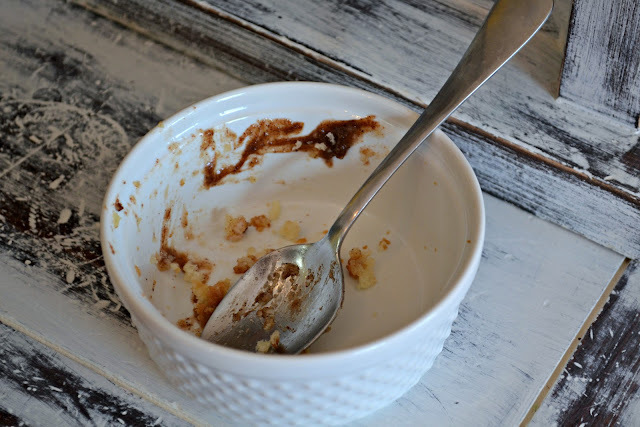 I could not stop walking past it in my kitchen without grabbing for that spoon and another mouthful - I almost ate half to myself (shhhhh...don't tell anyone). Do yourself a favour and try it at least once!. I did change it up a little the second time I made it - but alas I do prefer the original recipe without changing ANYTHING! I half cooked the apples and even though it never really changed the awesumness of this cake, it did however make it very very moist and for me a doughnut especially the apple fritter is NOT moist - it has to have a little crunchiness. I give you a standing ovation girl - great treat! I just made this today and the family ate half of it after about an hour! So delicious!!! YUM! I came across this post via Facebook, where someone shared it. 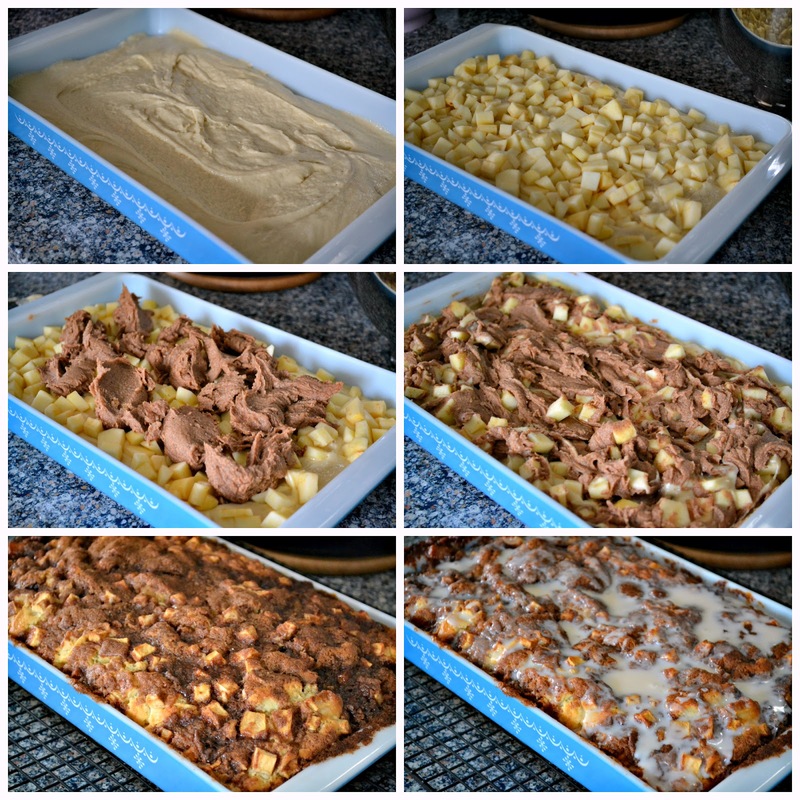 So I went to pin it and I noticed that it linked back to a post on this site: http://ideascute.net/apple-fritter-cake.html Which then had a link back to yours. But it made me wonder if someone had scraped your content...? Maybe I'm being overly paranoid for you, as one blogger to another, but the other site looked a little suspicious to me. Either way, I'll pin from your site so that the traffic goes here, since you're clearly the writer of this recipe. Wow. That was delicious! I made this tonight for my mom's birthday and everyone loved it. I mean REALLY loved it. I made this this morning..the topping was so thin I had to add at least a cup of flour to thicken it up, then it wasn't thick enough to drop by spoonfuls. Too much butter?? Anyone else have this problem??? I followed the recipe exactly. Help! I saw this original post and would have given credit to the person who posted it, except I did some research and found your own blog. Shame on them! If I make this, I will make sure I link back to you. Thanks for posting this on FB. Hope you had a blessed Lord's day. In the oven as we speak and is already baking longer than 40min but it still looks quite wet...maybe bc i soaked the apples in lemon and water to keep from browning as i mixed everythng up? Or are fresh picked apples juicier in general? Have you ever tried poking holes in it and putting the glaze on as soon as it comes out of the oven? Has anyone tried this recipe with gluten free flour? Wonder how it will come out ... I may just give it a try soon. Looks awesome, and apple fritter doughnuts are my absolute favorite! (Husband is celiac). I put in extra apples so my cake came out very moist, baked it for almost an hour. 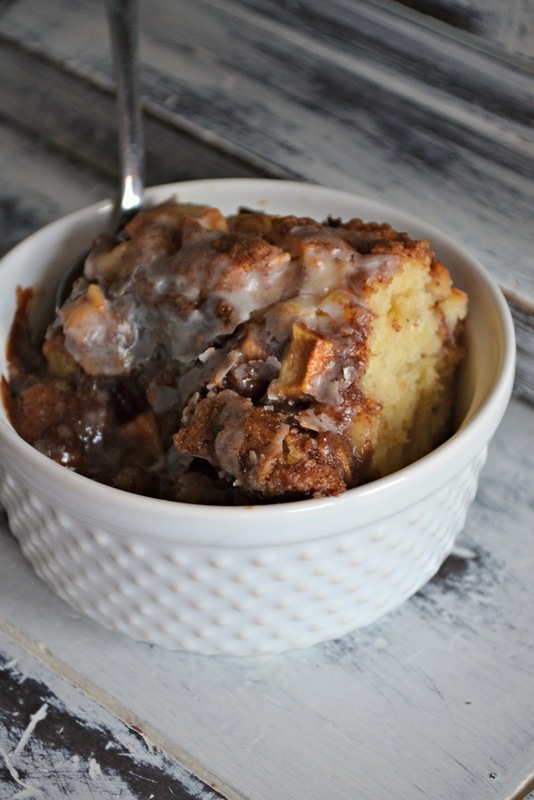 It tastes like an apple fritter bread pudding! It is really good! My topping wasn't thick like in your picture and I followed the recipe. OMGosh!!!! I swear I heard angels singing when I took my first bite!! This cake is amazing! I thought my mom made the best apple cake ever, but this one just moved to the top of the recipe pile!! This is absolutely amazing! Have made several times already the family loves it! I just took another one out of the oven to take to a potluck at work tomorrow. Can't wait for everyone to try it! I made this and followed recipe to a 'T.' A few observations: while the flavor is very good, it seems that the cake batter part and the topping part require 2 different cooking times. At the end of the recommended cooking time, the cake was done, but the topping was not. Someone had mention maybe too much butter in topping? Could be, as the top was swimming in it. I cooked until the top was done (checking in 10 min increments). Result: a dry cake bottom, and gooey yummy top. Someone also mentioned poking holes in cake to let topping seep down. I did this right out of the oven; didn't seem to help. Maybe poking holes in cake before cooking would be better? I made this tonight for a church bonfire and OH MY WORD was it good!!! I only had 2 sticks of butter, so I just used 1/2 c butter for my topping and it was perfect!! I mixed up my apples and used 2 med Jonagold and 2 med Gala and absolutely loved the flavor! Thank you for such a great recipe!